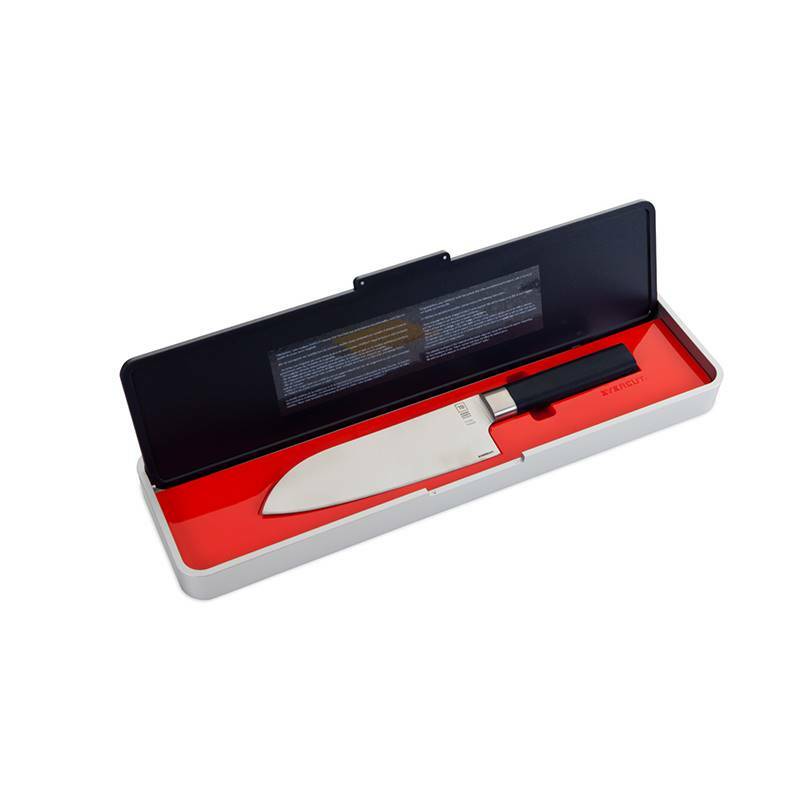 Recognizable at first sight, the santoku knife is a Japanese kitchen knife equipped with a large blade. 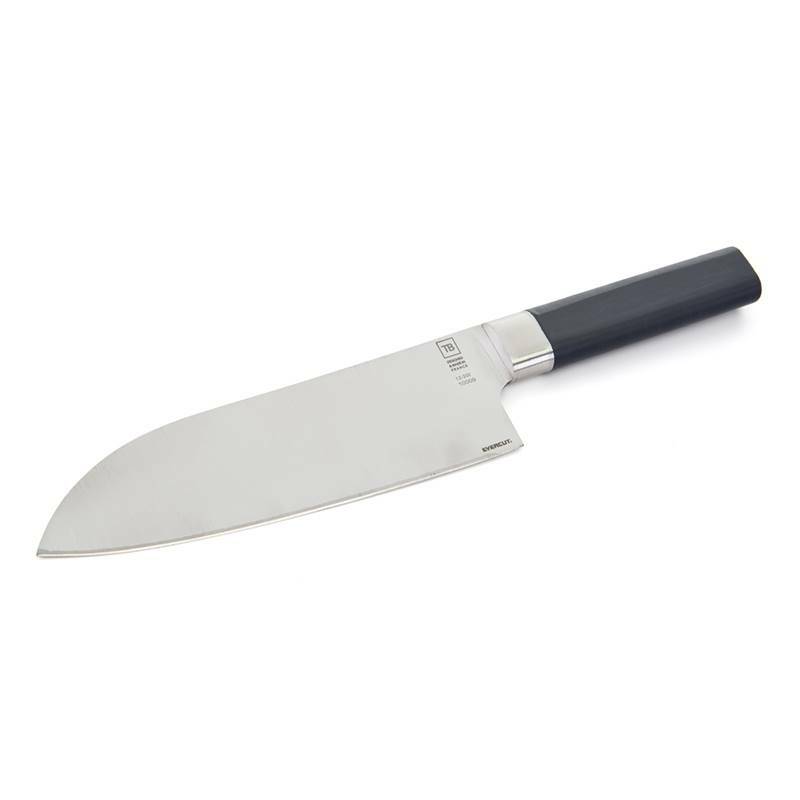 Coming from the chef knife, this santoku offers a great delicacy while cutting when it comes to make refined carpaccio or to cut delicate flesh of fruit and vegetables. 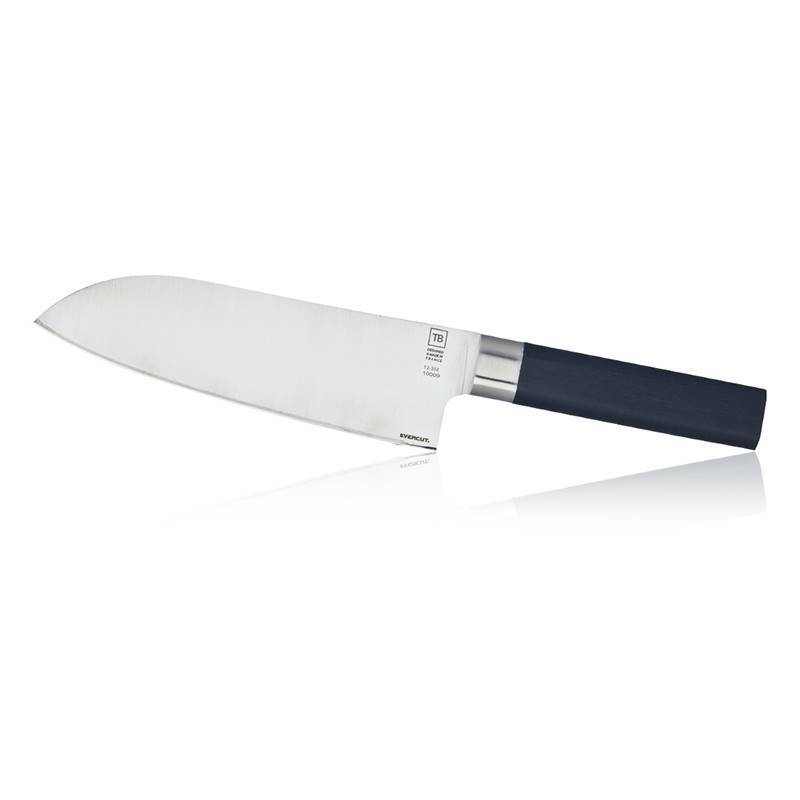 This French knife has an Eastern heritage that enables it to be multipurpose and to cook with great subtlety. 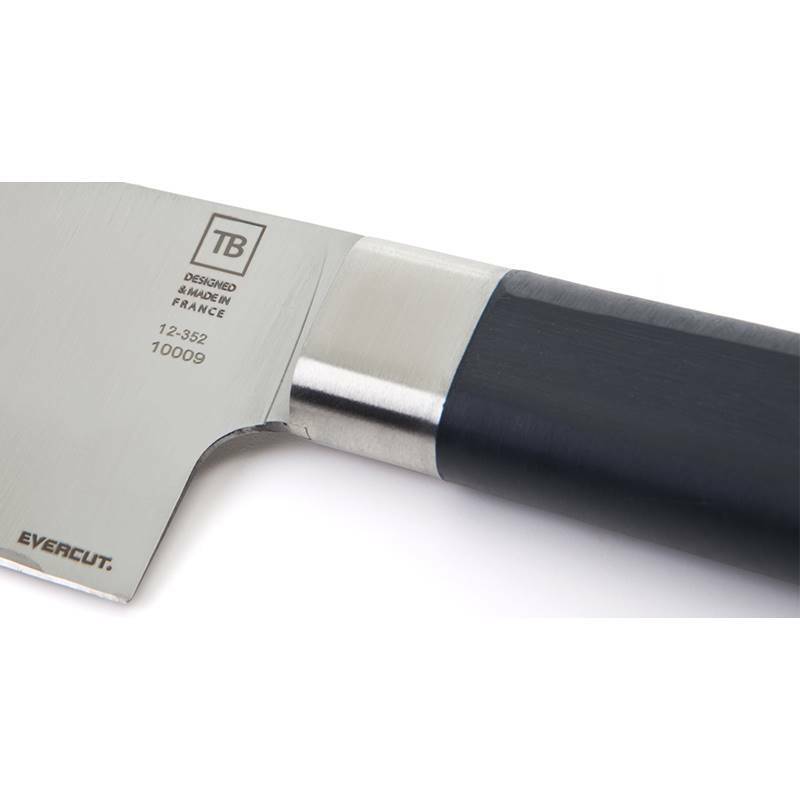 The precise blade of this French knife benefits from the Evercut® technology developed by the R&D department of TB Groupe. Patented, the Evercut® technology is unique and innovating: it offers an exceptional sharp edge, which enables the cutting of very nice pieces with an infinite precision, without any sharpening. 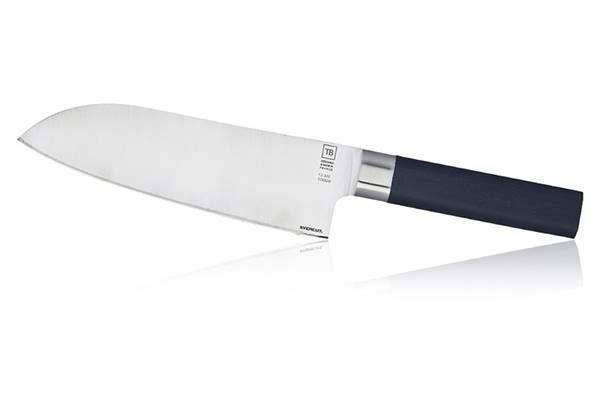 Larger than a classic knife, the blade of this santoku can cut, slice and mince with rigorous delicacy, thanks to its excellent balance. Manufactured in Thiers, this French knife is a unique product confirmed by its numbered blade. 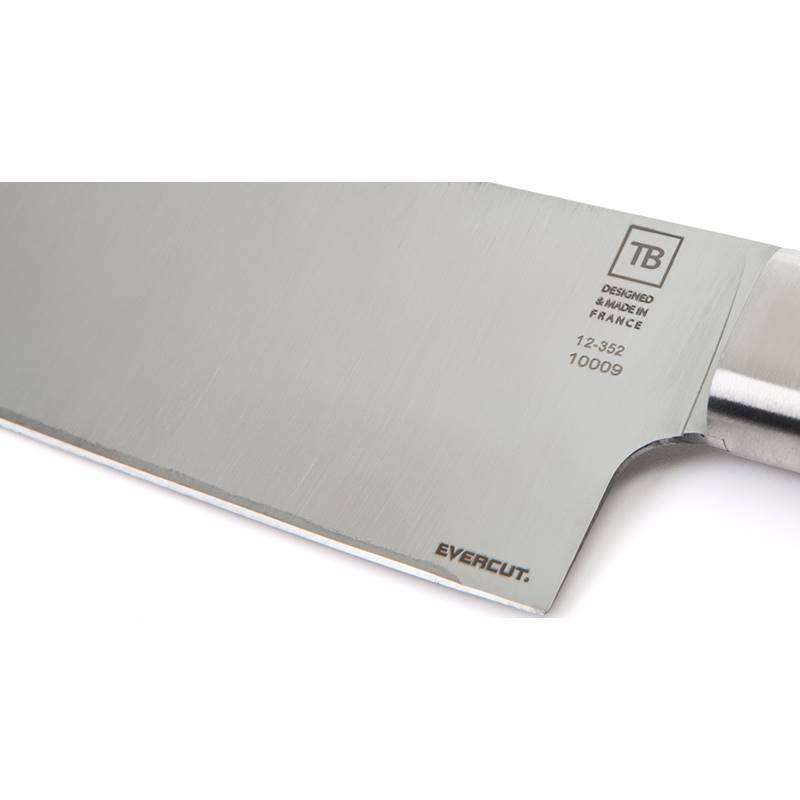 The large 17cm Evercut® blade can be personalised with laser engraving up to 30 characters and is lifetime guaranteed.